If there is one thing I’ve learned from moving over the years it’s that I’m a pack-rat. I honestly can’t help myself. I just seem to collect things without really trying. My infamous (to those who know me personally) clown collection is by far the largest. I own porcelain, plastic, glass, crystal and feather masks and figurines in all shapes and sizes. Basically anything clown, harlequin, circus, etc themed is in my collection. However, I also own a shitload of shot glasses. I honestly didn’t realize how many until it was time to pack. They were the first thing I boxed up, after washing off about three years’ worth of dust. My only other overwhelming collection (purses and bags don’t count because I’m female) would be my books. At last count I owned over 1,000 but I haven’t updated the list in about a year. I’ve added and subtracted from the shelves in that time. Once I move and get my shelves put back together, I plan to redo the list I keep in my Collectorz.com database. For now all my precious books are being packed into cardboard boxes. The clowns are lovingly wrapped in tissue and sitting in plastic totes. 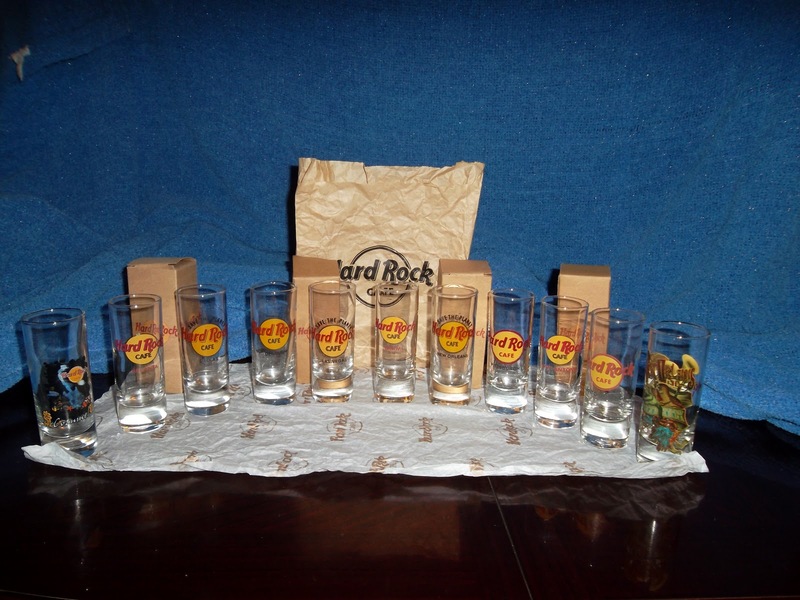 And the shot glasses are also wrapped and awaiting the move…well, all but the biggest ones.